For a translation of the table of contents, as well as a more detailed review of these contents, please check this page. I scanned and cleaned up all the special character art (drawn by their respective character designers) for your convenience. 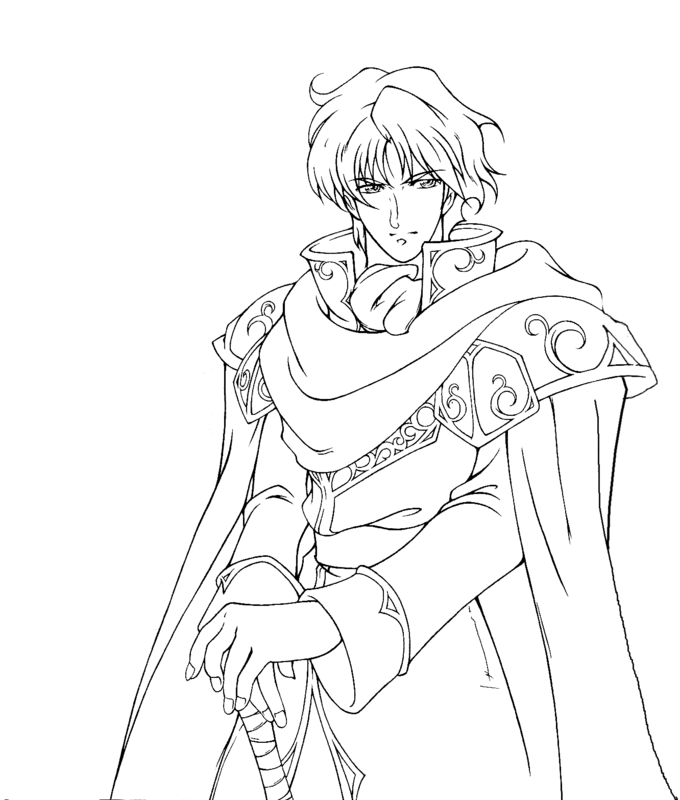 Try coloring it. Please link back if you do use in some way though, mostly because a lot of work was put into it. Thanks! A special colored version (colored by me) of the above can be seen on the individual post here. Check out the simple outlined proposal that started it all below. The translation can be found on this dedicated page here. 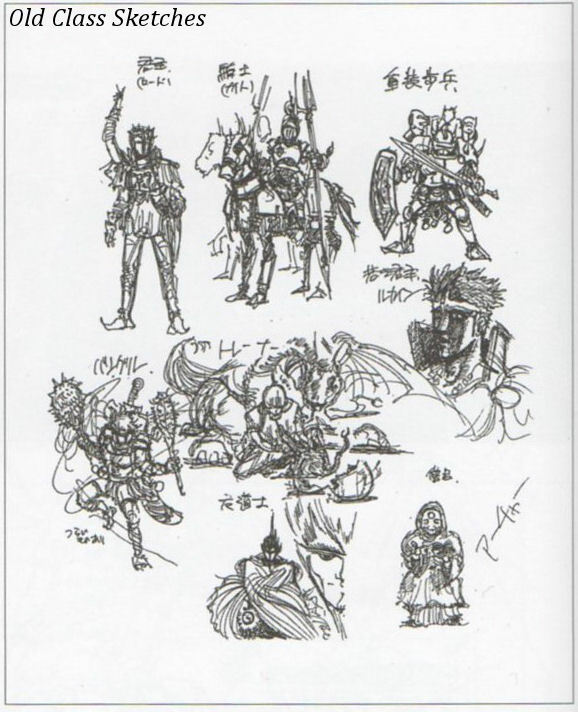 Next are concepts that were ultimately scrapped from FE1. Many of the assets were moved around or edited as you can see, however. This section’s scans are provided by VincentASM of serenesforest.net. He also translated some of the works, while I helped and translated some other bits. Check out his in-depth analysis here! An old map of the continent. Note some familiar names, and others unfamiliar. 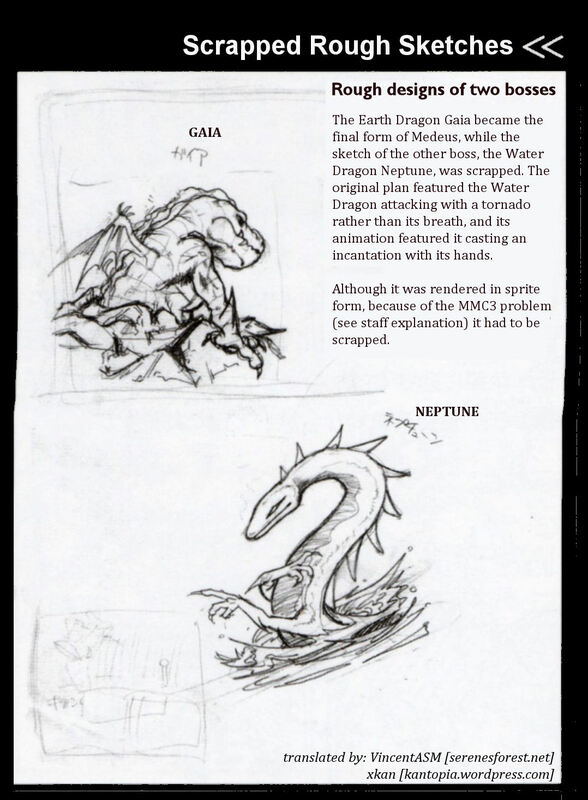 The game was going to feature two dragons with names from mythology. Gaia and Neptune (Earth and Sea). It seems they went with Light and Dark later on though. Limitations cut out what would have been pretty powerful scenes, it sounds like. 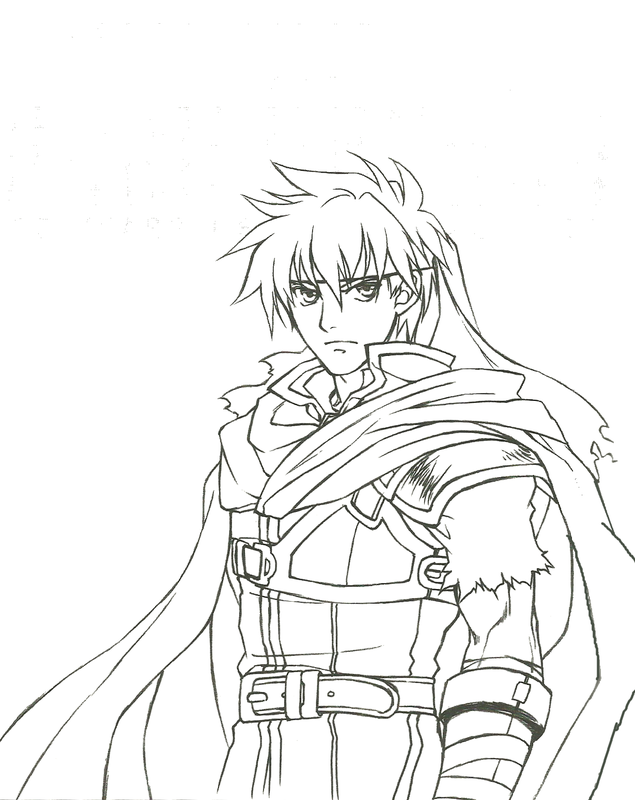 One can imagine what else there may have been beyond Jagen’s death. Some old class sketches. 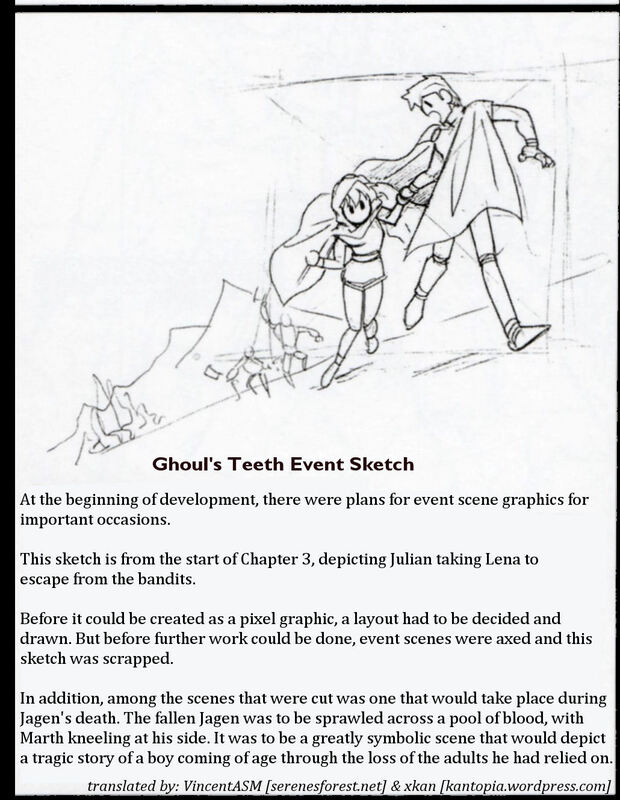 Some of the scribbles are hard to make out, but it is interesting to see the rough sketches. There were plans for Dark Dragon to use extravagant graphics in order to compete with [other games of] the very popular simulation genre on the PC. 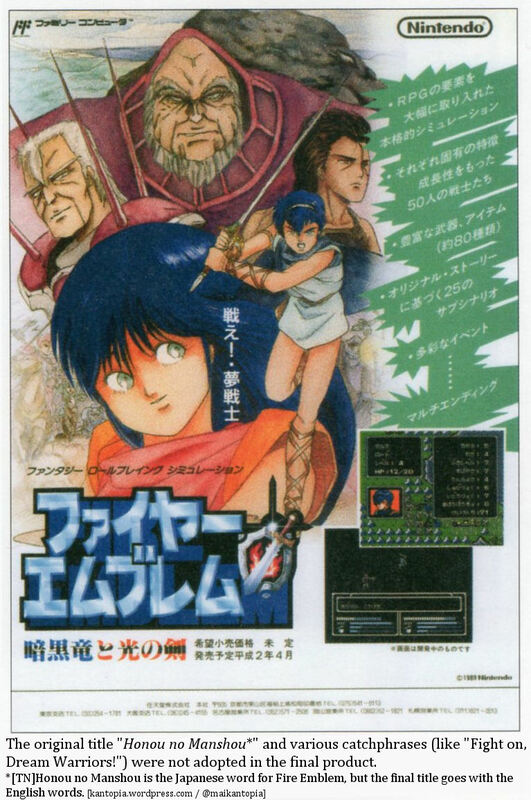 At the time, considering the maximum capacity of a Famicom (NES) cartridge was 2 Mbit, to produce battle scenes during phases, all the events that had been designed, left and right-facing sprites during battle scenes, it was necessary to use a special type of MMC3 cartridge. However, during development we learned the maximum capacity of a MMC3 cartridge was 1 Mbit; from there, we started heavily compacting everything to accommodate the halved capacity. As a result, we cut down the 2 boss dragons we originally planned to 1 and got rid of the event scene graphics. There are also two examples of dialogue/events from the planning stages featuring Mostyn and Nyna. You may read their full articles by clicking the links on their names. 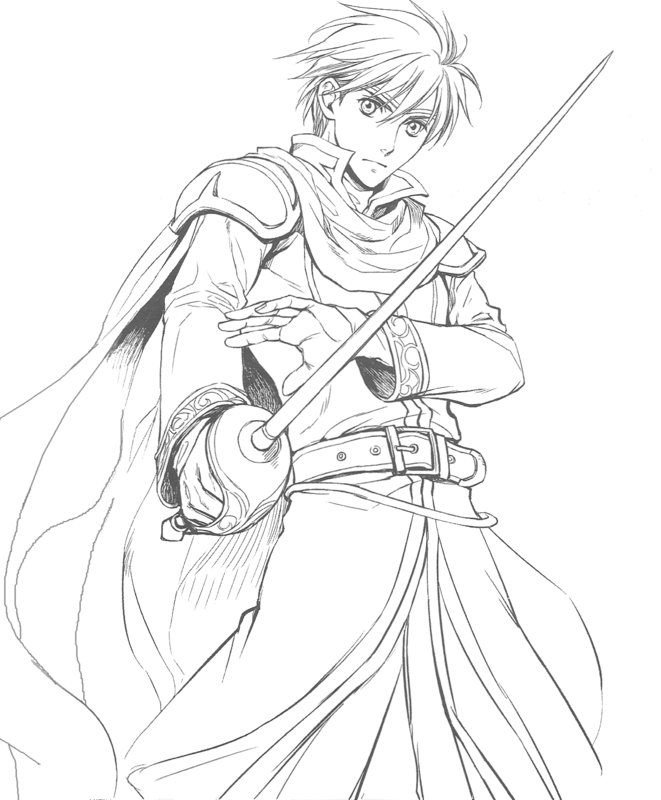 Below is a brief comparison as to how Marth appeared on the poster versus how he ended up appearing in the final product. 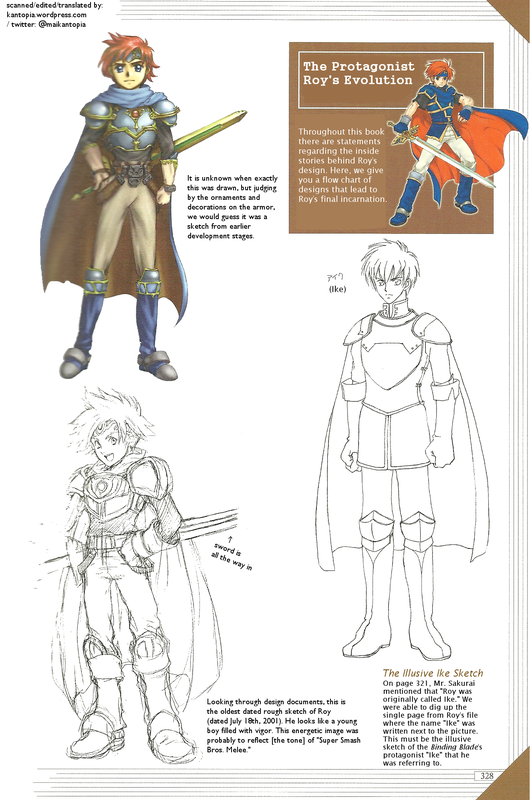 This book lacks a lot of information and content from Fire Emblem: Genealogy of the Holy War and Thracia 776. There are still a few things here and there though. 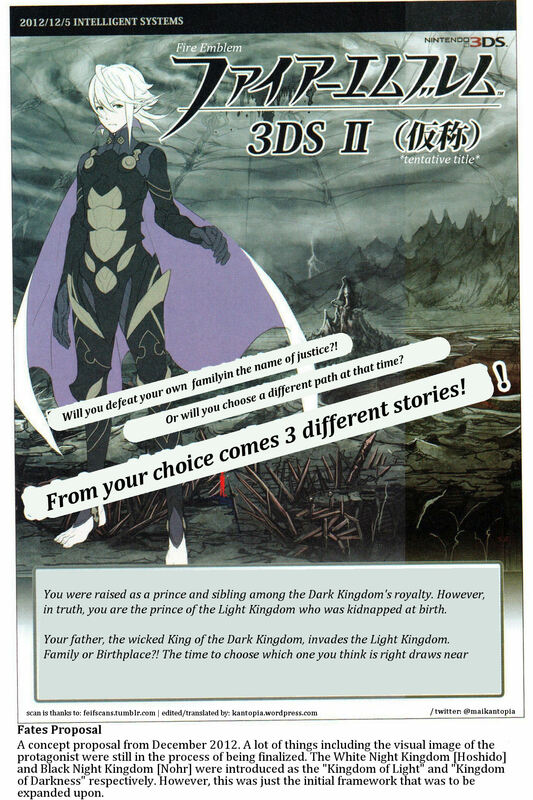 This is an old poster for Fire Emblem: Inheritors of Light (the tentative title that eventually became Genealogy of the Holy War). Read details on it here. 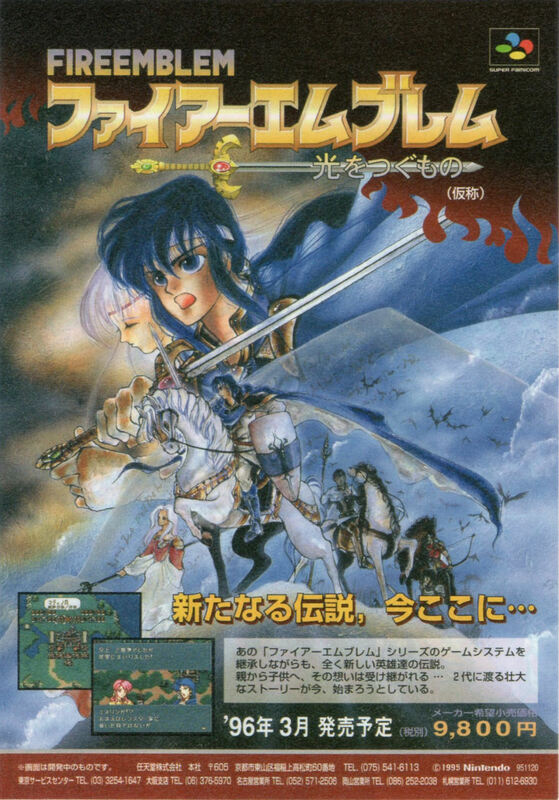 Toru Narihiro talks about changes that FE4 underwent during development in an interview here. Things such as how it was going to be a squad-based non FE game, or how marriage and inheritance was added on a whim! 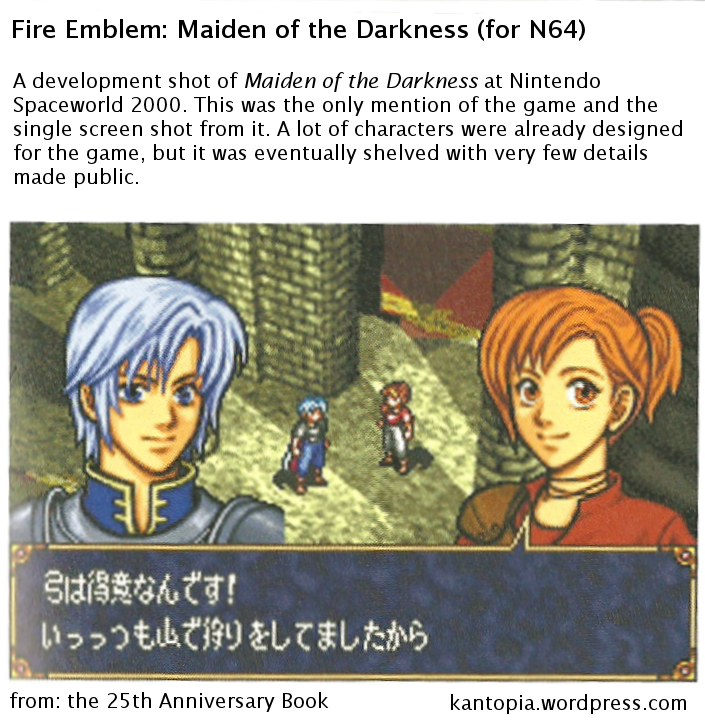 While in the middle of production for the N64 version of Maiden of Darkness, due to various structural changes, game planning basically had to start over from the beginning. 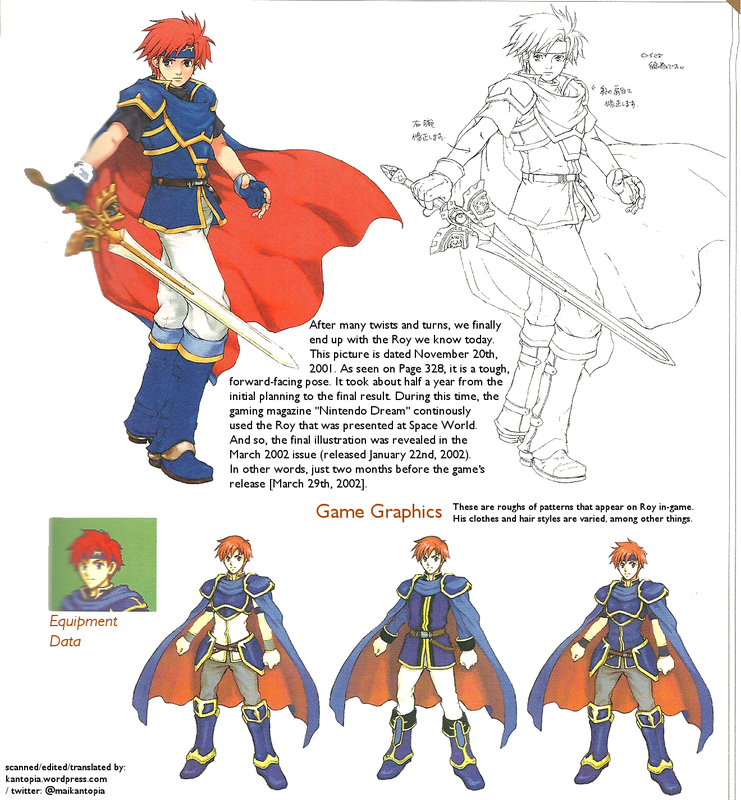 While the hero, Roy, remained the same, almost everything else about the game changed, including story and (almost) all other characters. Also, since the target audience for the game became older, they had to recreate their protagonist to appeal to both kids and adults. 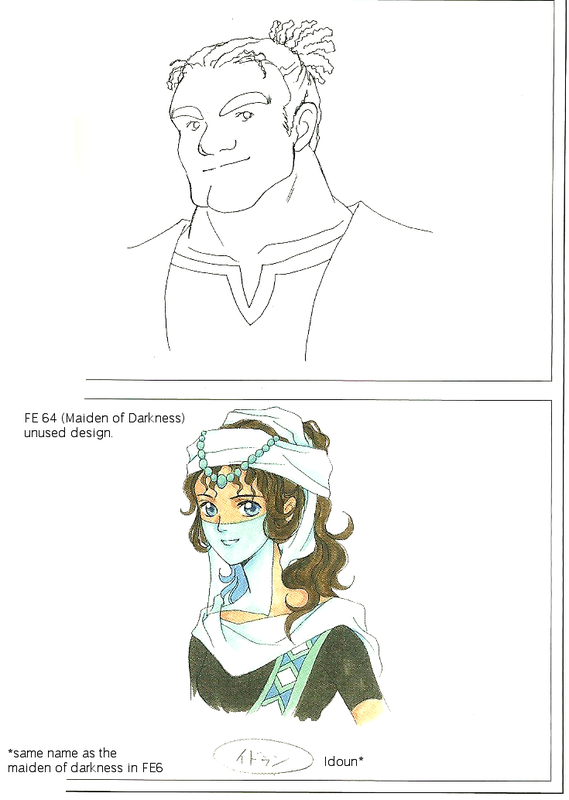 Karel was apparently the only character from Maiden of Darkness to get carried over into Blinding Blade. A character named Idoun also existed in both games, but only the name is consistent — the appearance, personality, and role in-game are all different. Below are my own screen shots and translations, which reference the above. Above is the only screenshot of the game that was provided. The dialogue reads: “Bows are my specialty! I’ve had plenty of practice from hunting in the mountains!” The two characters are Ephraim (left) and Rei (right), as revealed by the full dialogue of the scene (see below). It is the only known dialogue of the game, and features an Ephraim and Eliwood, just to name a few familiar names to FE fans. 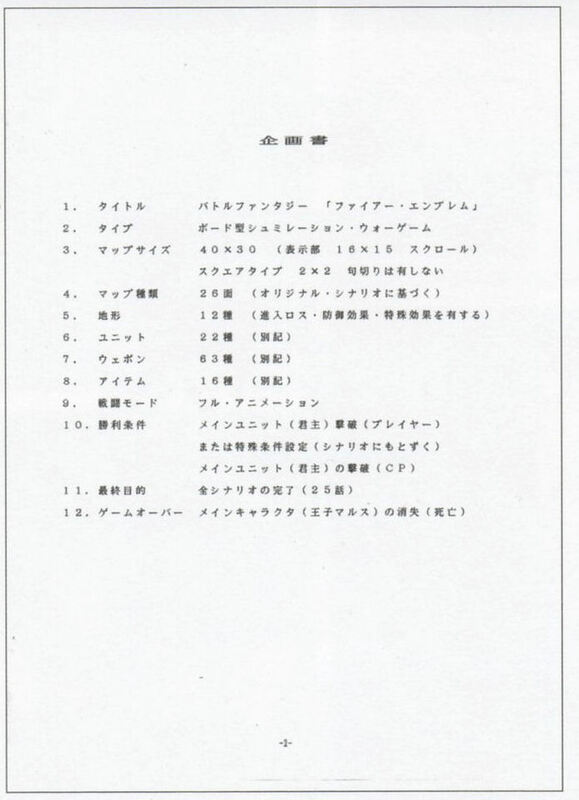 The book revealed a single page of dialogue from the game. Here is a glimpse of the dialogue, but for the full analysis and notes, go to its specific page. 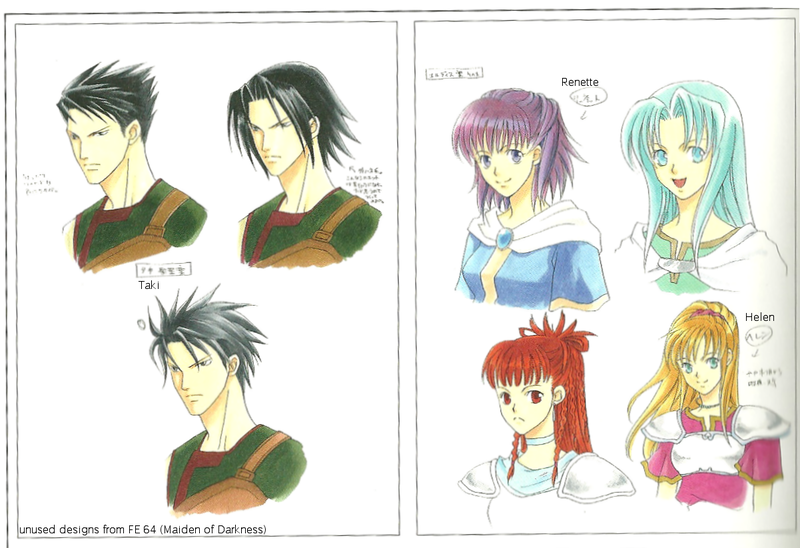 Above are some characters that were designed then went unused. Some seemed to have been labeled with names. 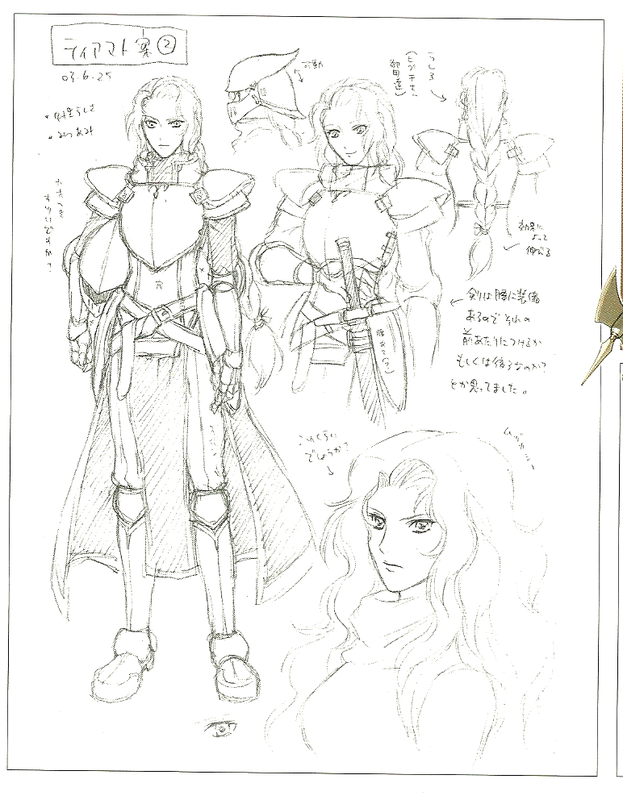 Helen bears a resemblance to Clarine (a character in FE6). 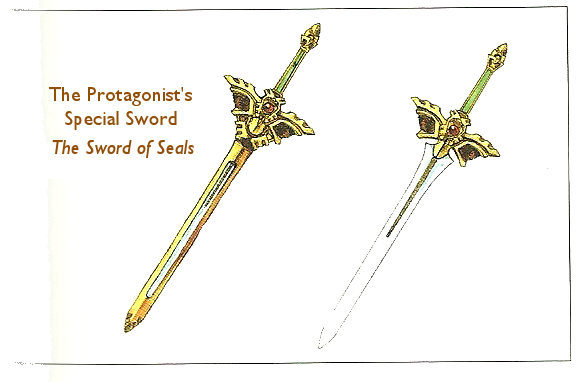 Above are two designs, the bottom of which shares the same name of the eventual maiden of darkness in FE6, Idoun. Though their appearances differ greatly! 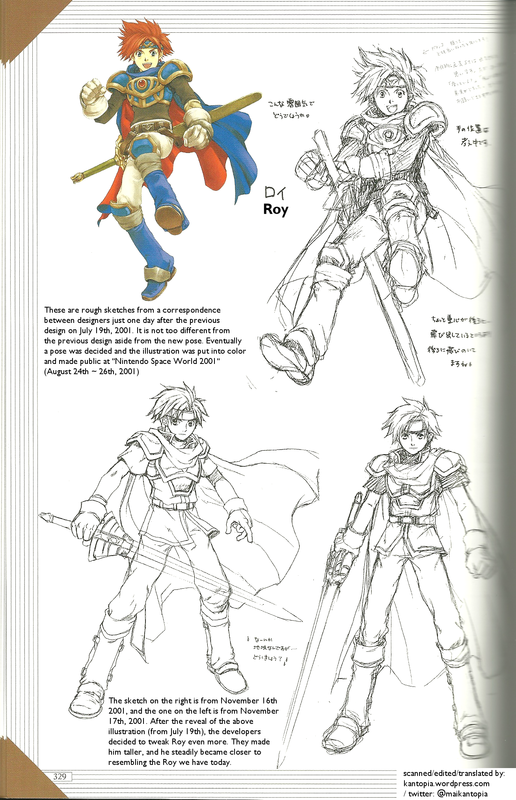 That does not necessarily mean they were the same character, however, as the developers seem to have fun recycling names they like, such as how Roy was originally named “Ike” (eventually the Hero of FE9/10’s name), as seen below. 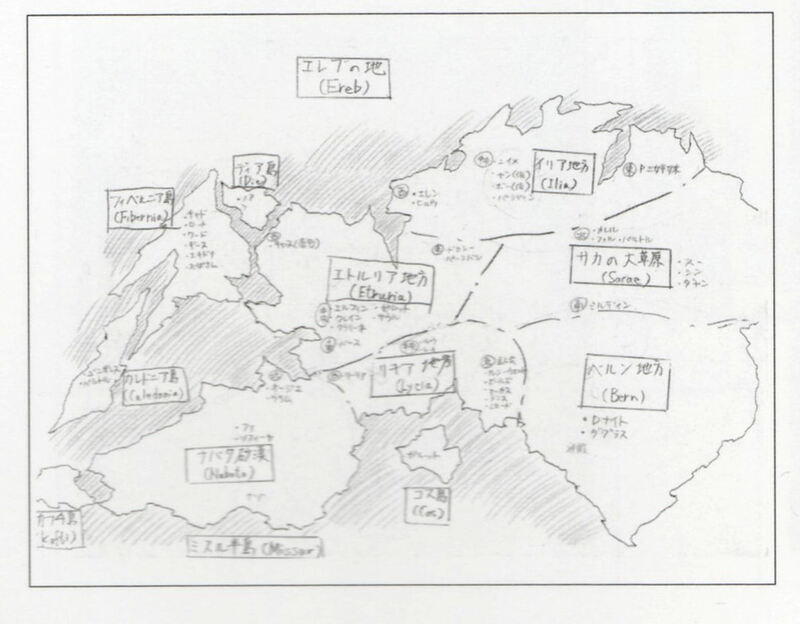 An outline is shown in the book that details the original 24 chapter titles, brief map descriptions, and units one gains on the map. 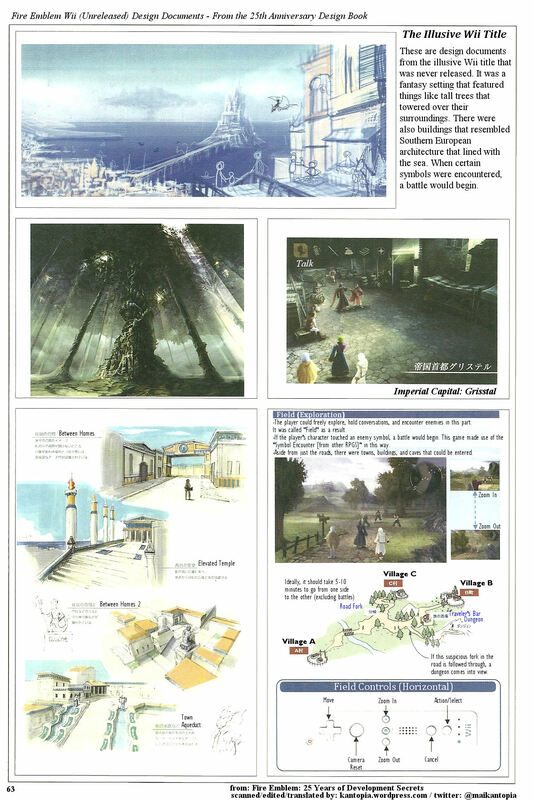 Below is the scan, but the full translation and comparison to the final game can be found on this page. 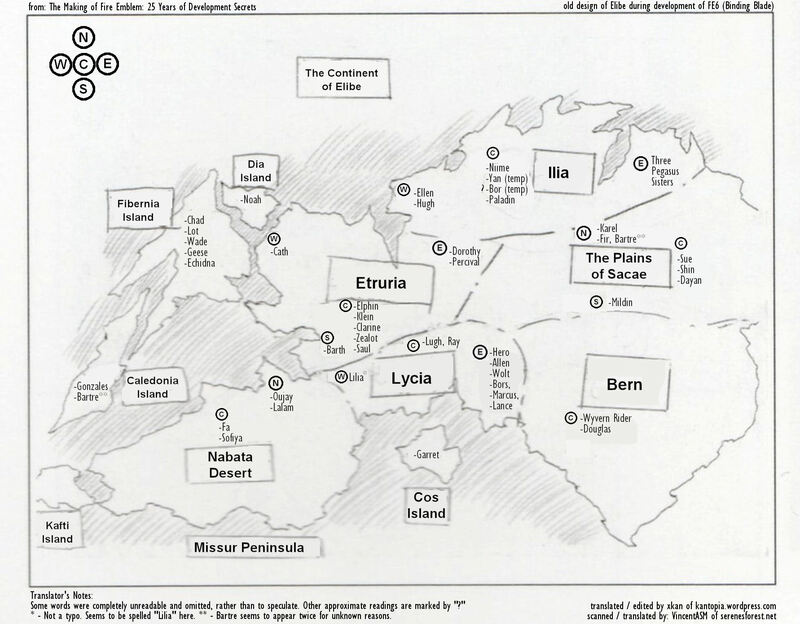 This is a map of Elibe (the featured continent) during development. I provide the original and translated version side by side here, but for details, check the main post on the matter. I translated the main notes next to the drawings, but could not make out many of the scribbles next to the pictures (due to how small it was and how messy the handwriting is). so decided not to translate those parts. If you really want to know what they say though, let me know in the comments or via email and I’ll do my best to read them for you. Below are some illustrations of the various types of dragons in FE6. The above shot is of Mist. The most notable feature is the short shorts she is wearing under her skirt. 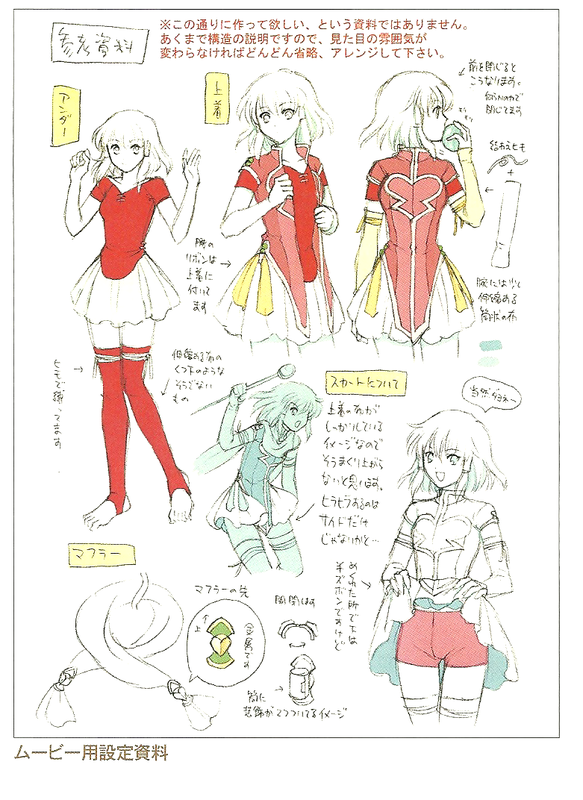 I suppose for those who are curious, yes, but it is fairly common for character designs of girls to show off this piece of otherwise unknown trivia. (Kay Faraday’s design in Ace Attorney comes to mind with showing off the same thing). However, it can also be ソオン (Soan) due to the handwriting which makes it hard to tell if that’s a リ (ri/li) or ソ (so) there. 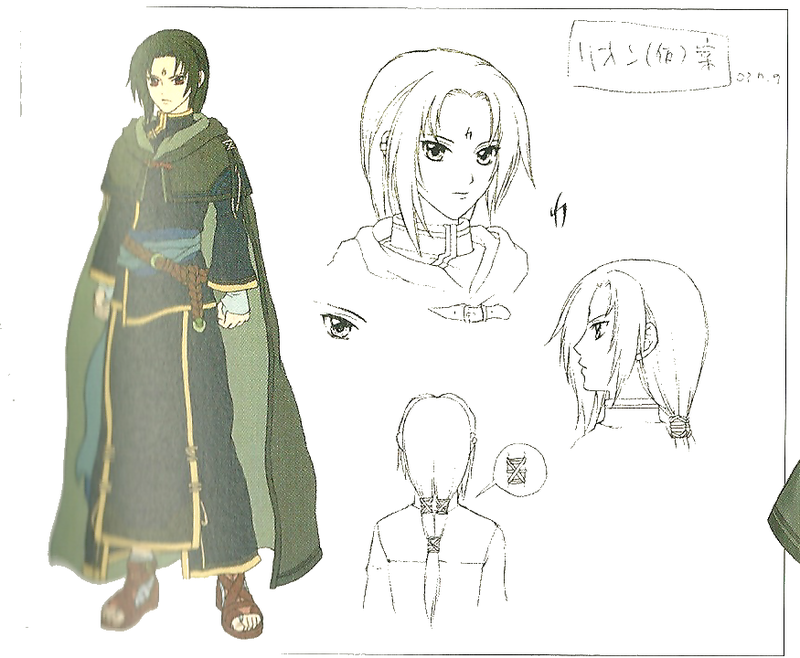 If that is the case, the name Soan (being one of Ashera’s three legendary heroes) may have come from Soren’s original name. Or perhaps they would have some connection? Regardless, that is not his final name in Japanese, which is セネリオ Senerio. 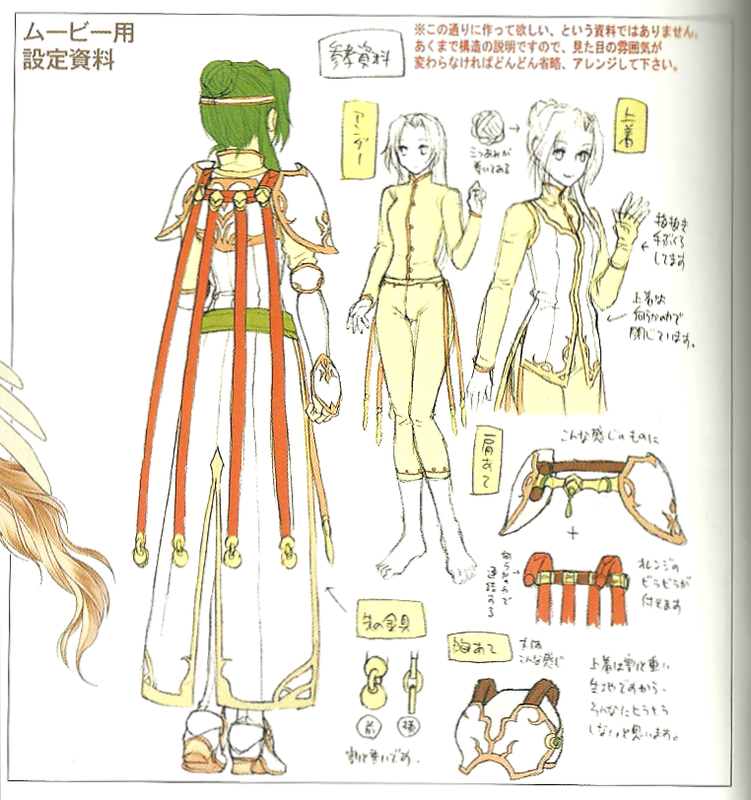 Above are some Queen Elincia designs! 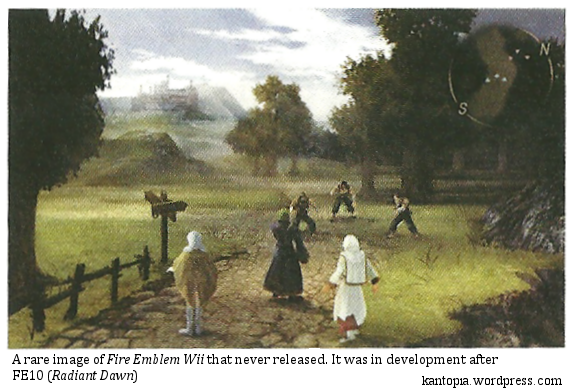 This refers to the Fire Emblem game that was in development for the Wii after Radiant Dawn but never released. Console Fire Emblem games were under pressure due to low sales, and it was a test of sorts. See the shots and commentary below. Full post on the shots are here. 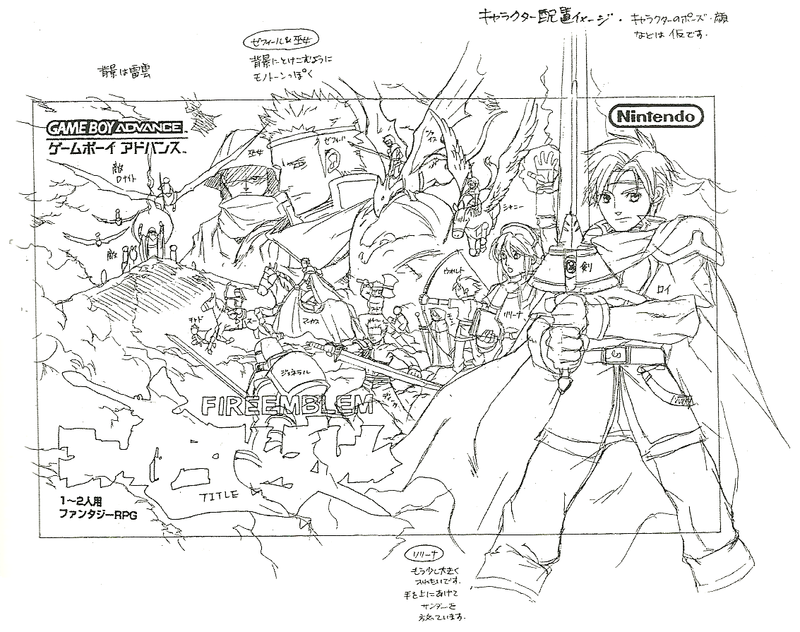 The game was in development for the Wii after Radiant Dawn but never released. Sales had not been that great for the previous console entries, so both Nintendo and interior staff were assuming it was a result of selling on a home console which they felt would not reach as broad of an audience as the DS would. I’m currently translating a brief part of an interview from the book that talks about this, and hope to have it up soon! Southern European architecture likely refers to the general Mediterranean area, as evident by the seaside towns and the way buildings look. The figures/statues they show (hard to see in the scan above) resemble mermaids/mermen. The second is a more bestial looking sea creature. 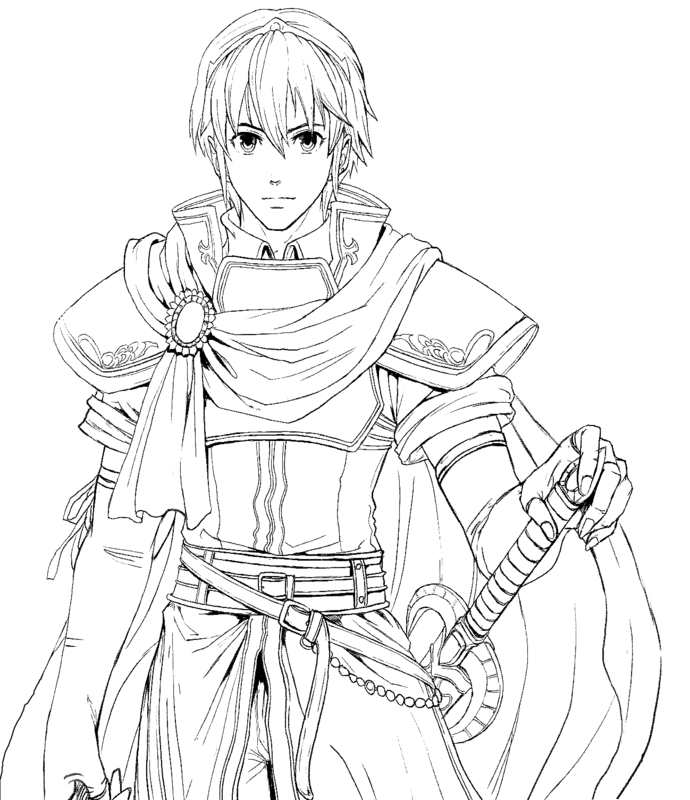 Was there going to be water-based laguz? The descriptions on the right were really microscopic even on the actual book page… so I did not translate them to avoid errors from unreadable text. The best I could do was with the titles. The interview (or part of the interview) regarding the development of Fire Emblem Wii is still being translated, and will be provided here after an update. 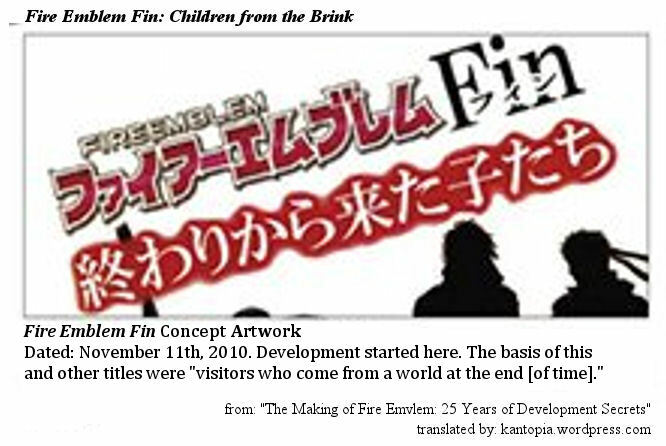 Below is a tidbit from the start of Fire Emblem: Awakening’s development. 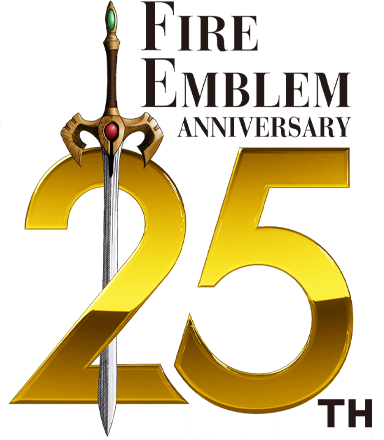 Originally it was called Fire Emblem Fin and went through plenty of names. The shot below shows “Children from the Brink” as one possibility (Literally, it translates to “Children from the End [of time].” The two silhouettes also resemble Ike on the right and…Stefan? It looks like a silhouette of his official Radiant Dawn artwork, at least. Was it going to be in Tellius? Or maybe a game that had people from all over? We’ll never know. It is just a concept work after all, so that wouldn’t really mean much. 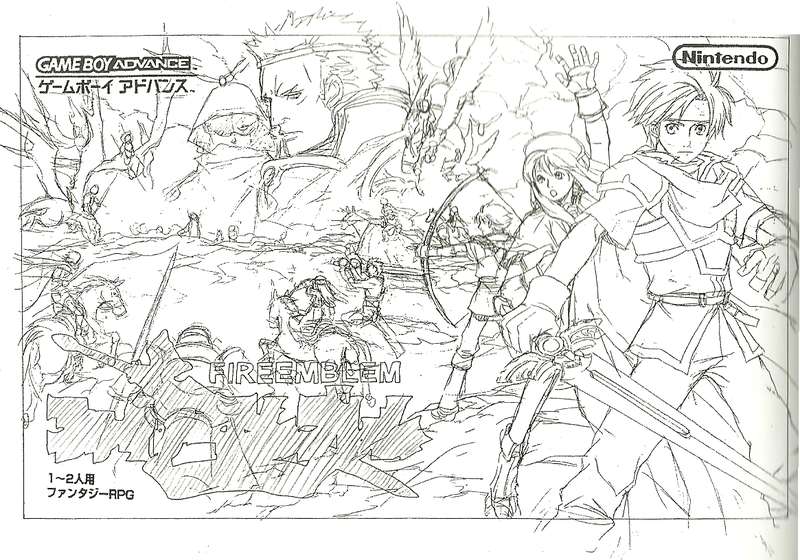 If one can guess who the silhouette in the bottom left is, (likely from Tellius), then all the better. 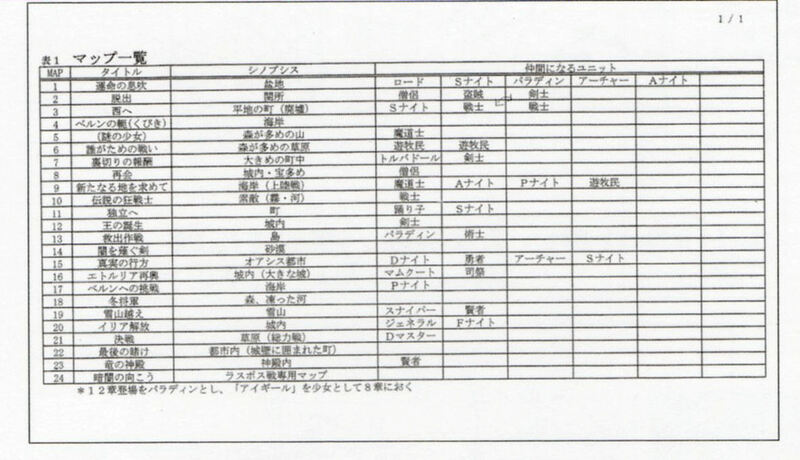 This is a Fire Emblem if (Fates) design document from December 2012 that was used as a framework for the entire game then on. 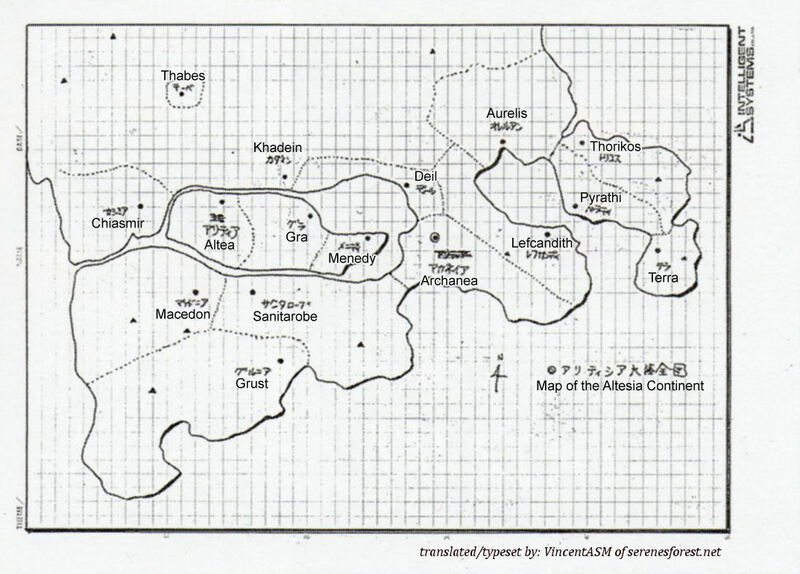 I provide the translated image below, but the original/raw scan can be found here. The transcript can be seen on the detailed post. See below for the image and some brief commentary. Hoshido/Nohr (Byakuya[White Night] Anya [Dark Night]) were the Kingdoms of Light and Dark respectively. (Hikari and Yami). Three paths were emphasized from the beginning, rather than the third coming in later. They got to work on this game soon after Awakening’s Japan release (April 2012). 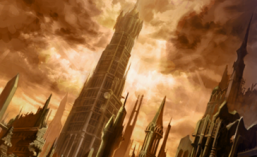 Most of the framework remained, meaning that Fates got the groundwork laid out just seven months later. The word “Prince (王子)” is specified, so perhaps gender was not selectable/customizable at first. However it can be read as “royal child” too, I suppose. 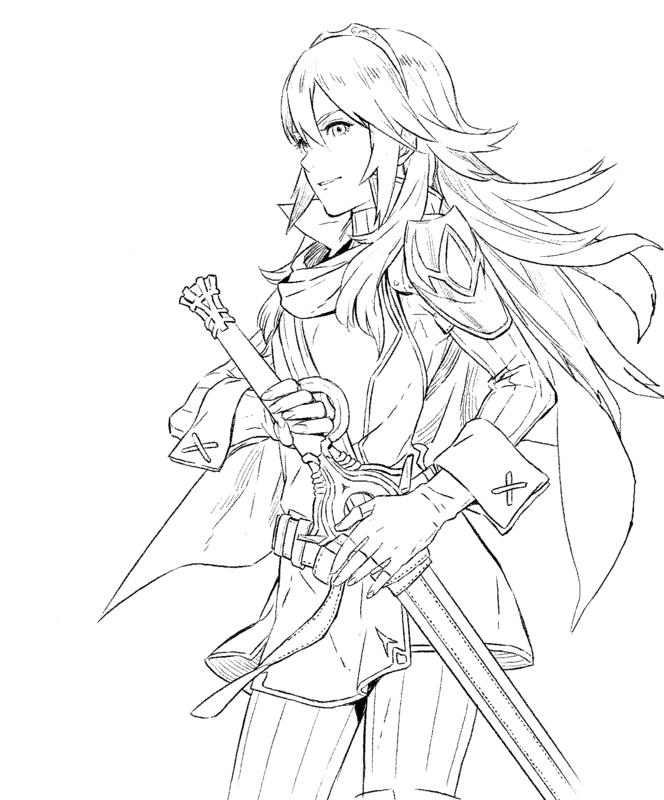 But the word often used for female Kamui/Corrin (Princess 王女) is not used. 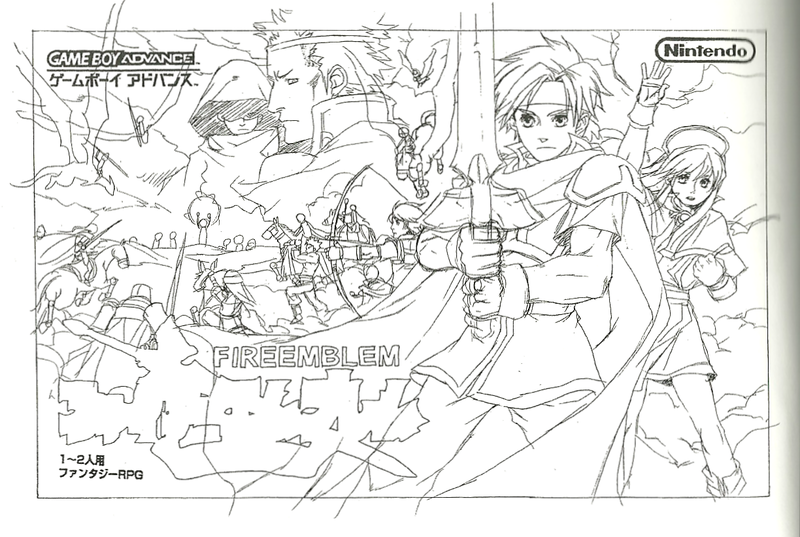 This entry was posted in Artbook, Fire Emblem, Interview, Translation, Video Games and tagged 25th anniversary, 3ds, awakening, birthright, blazing sword, character design, character designers, conquest, daisuke izuka, ds, elincia, eliwood, english, fates, fire emblem 64, game boy advance, Gamecube, gba, geneaology of the holy war, guidebook, ike, intelligent systems, invisible kingdom, japanese, katsuyoshi koya, lilina, lucina, marth, mist, nintendo, path of radiance, radiant dawn, revelations, roy, sachiko wada, sacred stones, sealed sword, secrets, senri kita, sigurd, soan, soren, special artworks, sword of seals, the binding blade, thracia 776, titania, Trivia, wii, yusuke kozaki. Bookmark the permalink. Hey! Love your work. Do you by any chance have page 80 and 81 translated?